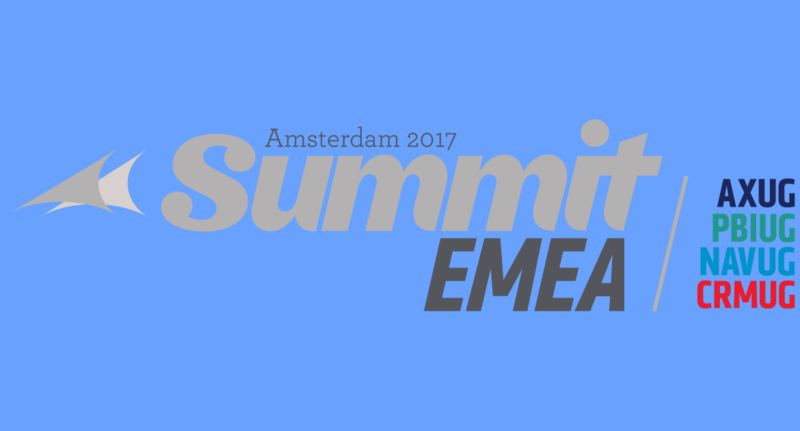 If you haven’t heard already, there will be a Summit EMEA 2017 coming April 4-6 in RAI, Amsterdam. This is a community-driven conference around Microsoft Dynamics products. Information about this event can be found on the next website: http://www.summitemea.com. Attendees can learn from other customers and product experts to excel their daily work. I will also be present and will act as speaker during multiple sessions. Thanks to the many product related sessions you can learn how to maximize the use your Microsoft Dynamics application. There are e.g. sessions related to the next topics: Functional, Technical, Application Lifecycle Management, BI, Manufacturing, Retail and Security. You can meet with other customers, Microsoft MVP’s, product experts and Microsoft employees. Connect with persons face to face is the best way to connect. Collaborate and expand your network! Is there a doctor in the house? If you have some specific questions or problems, you can find Microsoft MVP’s wearing doctor coats to answer your questions. They can’t do an immediate surgery, but they will be able to advice you how to troubleshoot your issue. As Microsoft is not continuing the Convergence, I do see this event as the new event for customers. Where the Technical Conference is dealing with the latest technology only, this event will deal with several versions of Microsoft Dynamics products. Other Microsoft events are related to all technologies, not purely Microsoft Dynamics. By attending the event you will get food for thought which will excel you in your daily work. I do hope you can be proud afterwards and say: “I was there…”.